Matt became a licensed loan originator and came to Gateway in 2016. Prior to joining the Gateway team, Matt spent the majority of his working career in the banking industry with a focus on customer service. 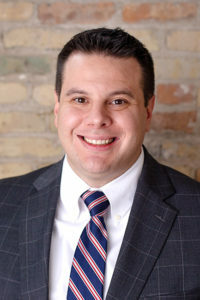 Born and raised in Kenosha, Matt is a 2002 graduate of Tremper High School. Matt enjoys spending time with his wife, Alicia, and his Lab Retriever Winston. An avid sports fan, he enjoys attending many games and events each year. Matt's favorite aspect of the mortgage business is helping his clients make informed decisions regarding the biggest purchase of their lives.